1. 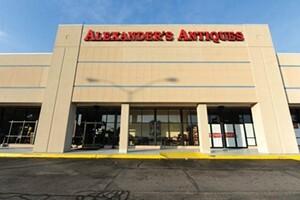 Go to Alexander’s Antiques on a Thursday night for the weekly estate-sale auction. 2. Bring coffee. Around 11 p.m., it’ll be just you and a bunch of antiques dealers. That’s when you start to bid. If you’re lucky, you can pick up a whole dining room, or a bedroom set, for a few hundred bucks. 3. Bring your checkbook. Get a 2.5 percent discount when you pay with cash or check. You can’t do anything about the 15 percent buyer’s premium, though.